I recently published "International Trade - the Ins and Outs of Import and Export" - you can find both books at my two websites - Mediagate Consulting - http://www.mediagate.com.au and John Gates http://www.johngates.com.au and on Smashwords and Amazon. I'm now a few chapters in to my big work - The Novel!! - still struggling with it, and a friend gave me a great bit of advice - start it off as your autobiography, make it interesting, try to add in every interesting character or event that you can think off and eventually a great story line will leap off the page!! I'm living the dream! Apart from that I work as a freelance writer and occasional voice over artist - give me a try!! If you hate my work you won't pay a cent. 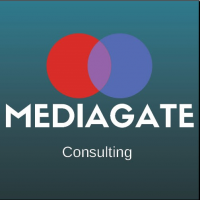 Mediagate Consulting Pty Ltd - John Gates has not received any reviews.